After all, almost every wedding reception has some sort of Order of Wedding Toasts and Wedding Speeches for the Wedding MC to follow as the wedding agenda progresses. 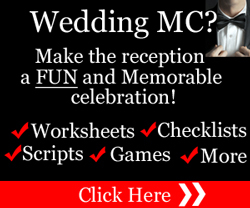 Fortunately, with our Special Guide, “Order Of Wedding Toasts And Speeches: Wedding MC Guide” you’ll be able to confidently sit down with the wedding planners and create a wedding agenda which has the planned order of wedding toasts and speeches. Our “Order Of Wedding Toasts And Speeches: Wedding MC Guide” lists the order of wedding speeches and toasts in a traditional English wedding as well as a longer, suggested order that you can discuss with the wedding planners. 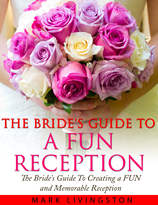 You’ll also discover the 5 key people who usually give wedding toasts. Plus, our Special Guide also includes to whom a special tribute could be paid at the wedding reception and who could be chosen to make the special tribute. 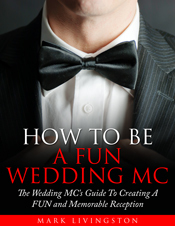 The “Order of Wedding Toasts and Wedding Speeches” is an essential part of your Wedding MC duties. So be sure to download your copy of this Special Guide today. I wish you every success in your Wedding MC Duties.